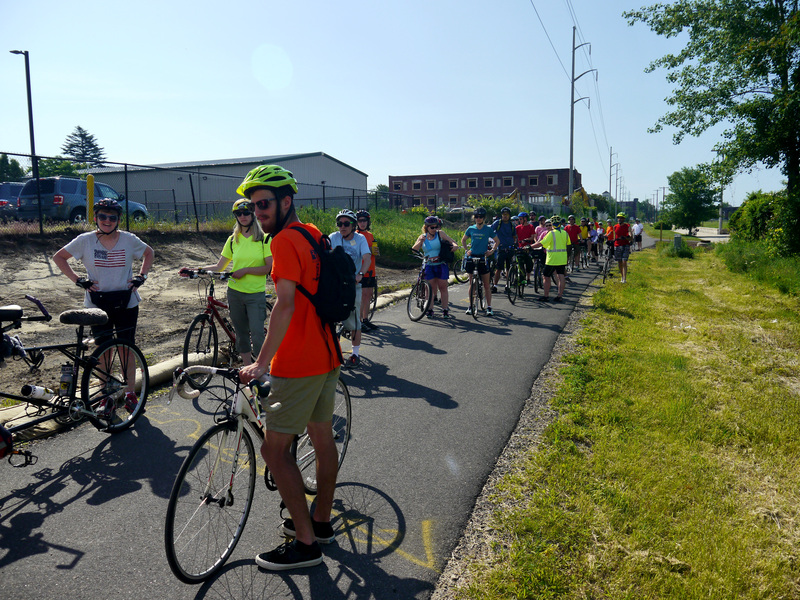 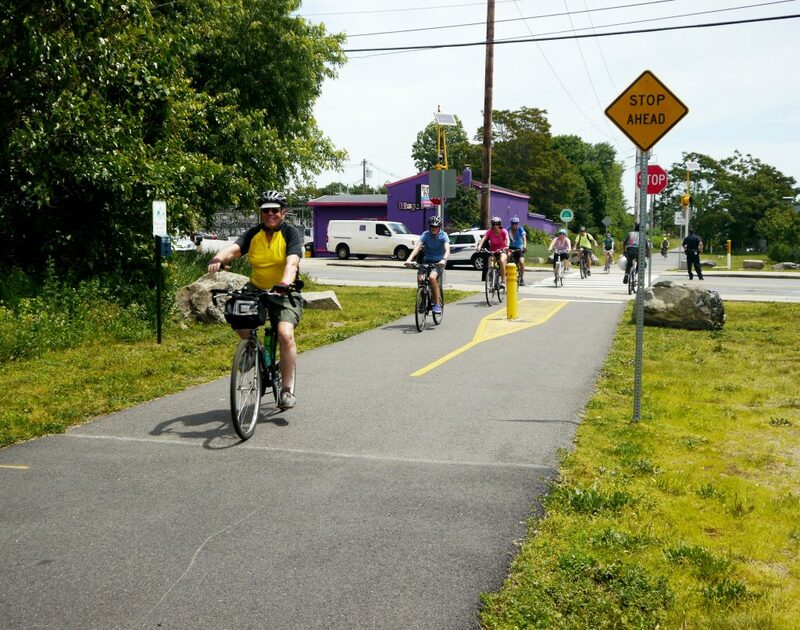 Photos: Bike to the Sea Day 2017 – Bike to the Sea, Inc.
With temperatures in the 90s, about 100 cyclists participated in the 2017 Bike to the Sea Day ride on Sunday, June 11 to raise awareness of the Northern Strand Community Trail in Everett, Malden, Revere, Saugus and Lynn. 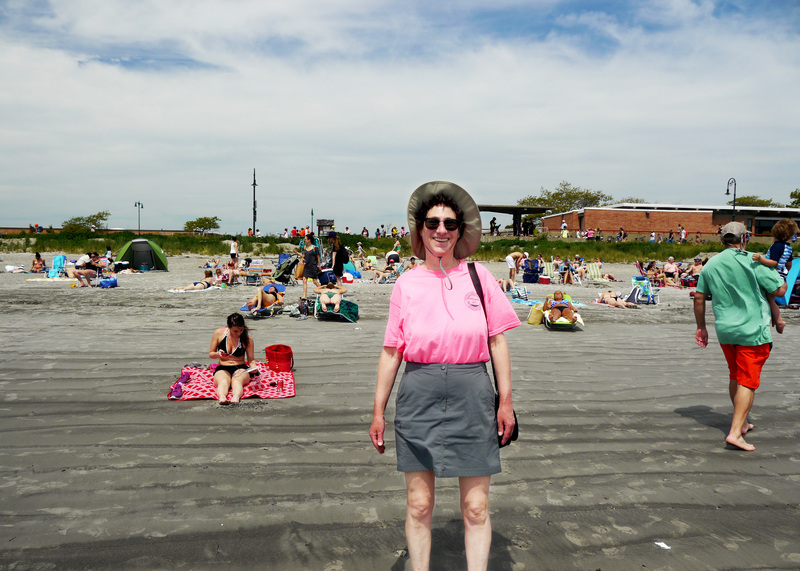 (All photos by Mark Micheli). 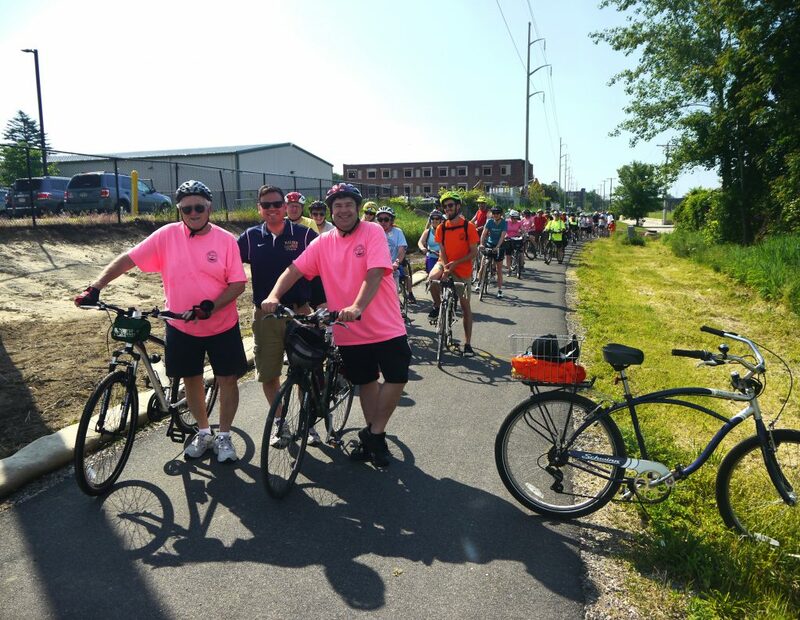 Malden Mayor Gary Christenson (center) along with Bike to the Sea members Gus Fish (left) and Peter Sutton (right) at the start of the ride on the trail in Everett. 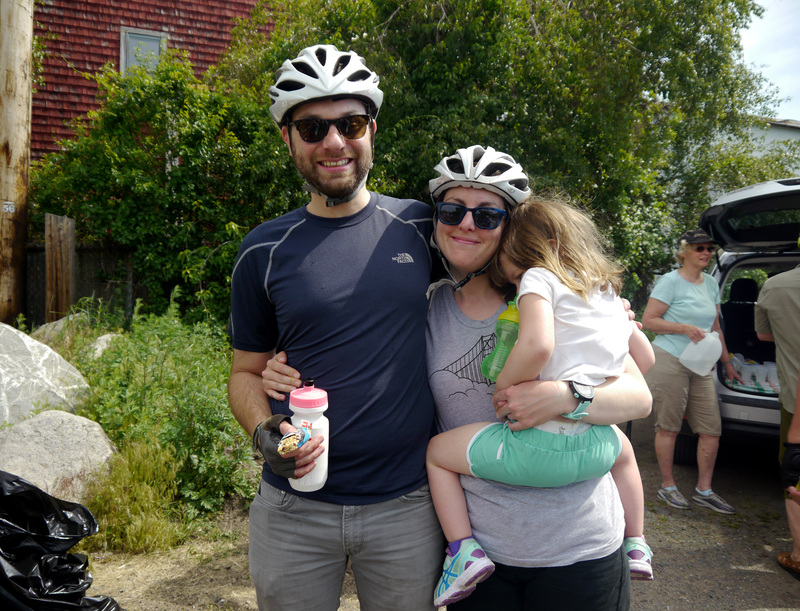 Melrose residents Larry Ribok and Jessica Haley participated in the ride, along with daughter Sylvia Ribok. 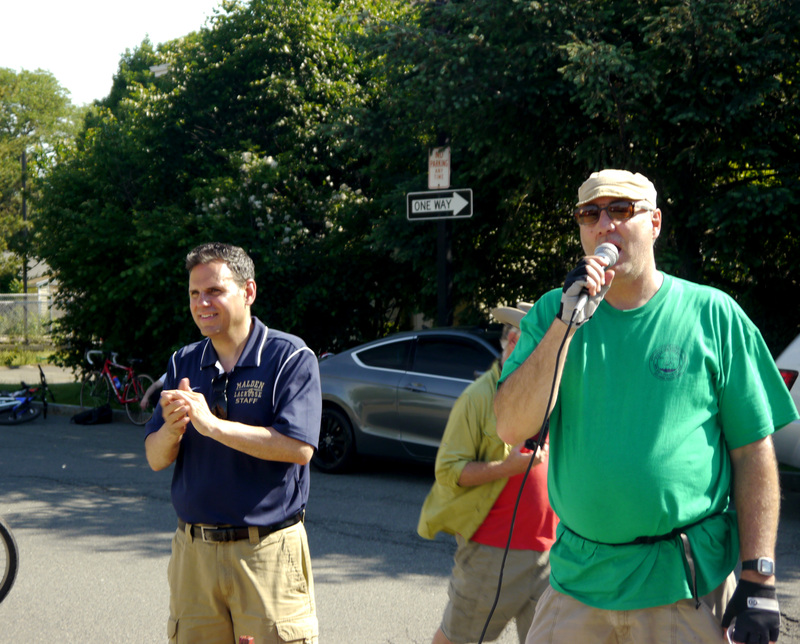 Steve Winslow, who founded Bike to the Sea along with his wife Helen, addressed the crowd before the ride, as did Malden Mayor Gary Christenson (left). 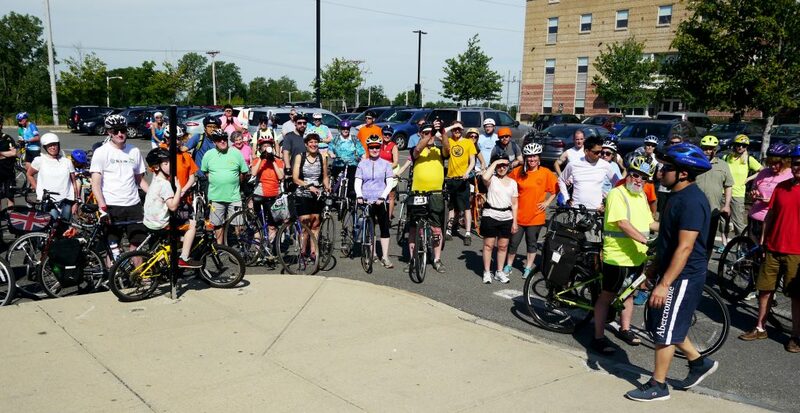 Cyclists before the ride began in Everett. 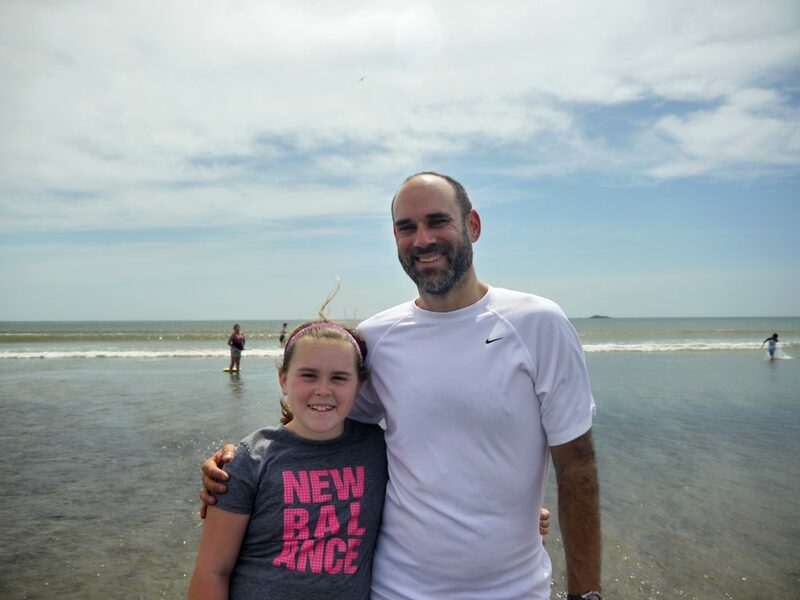 Bedford residents Jeffrey Dreyfus and daughter, Charlotte, rode to the sea and got their feet wet. 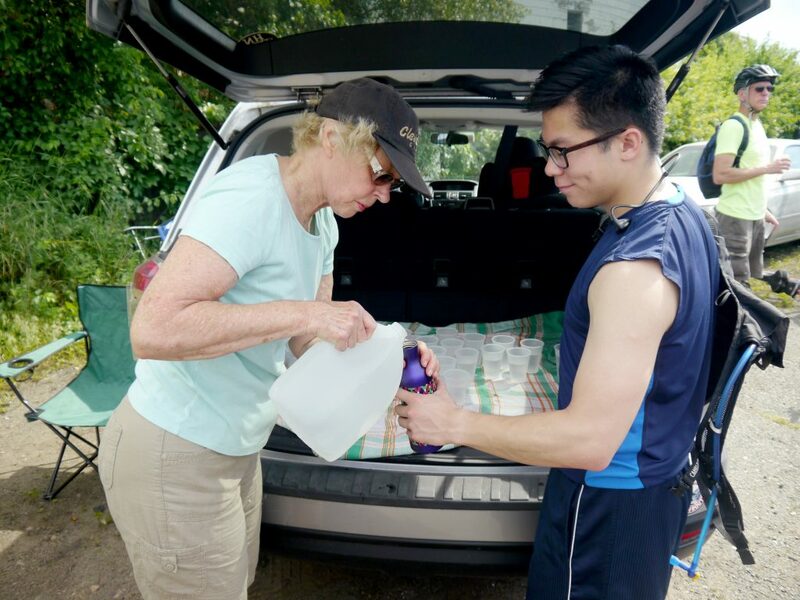 Melrose resident Tim Zheng got some water from a Bike to the Sea volunteer at a pitstop on the Saugus/Lynn line. 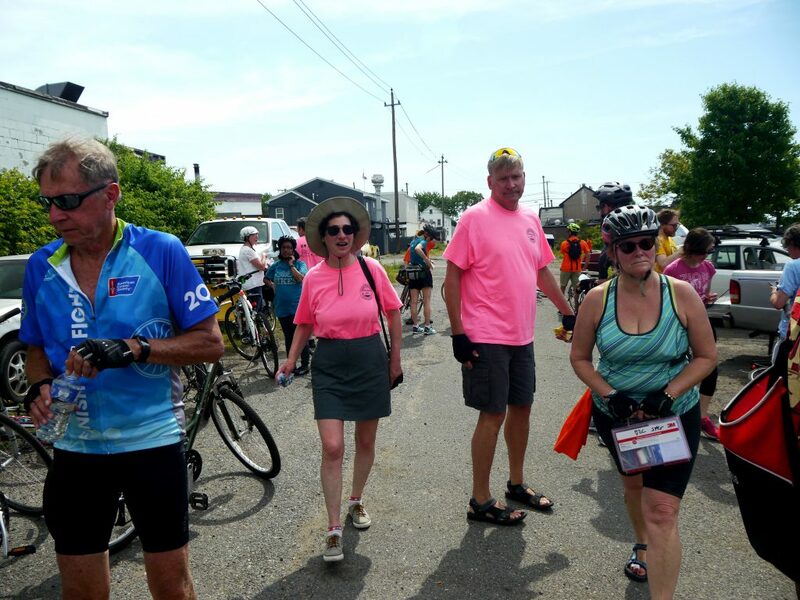 Bike to the Sea President Janet Green (pink shirt) and member Henri Soucy helped out at a pitstop on the Saugus/Lynn line. 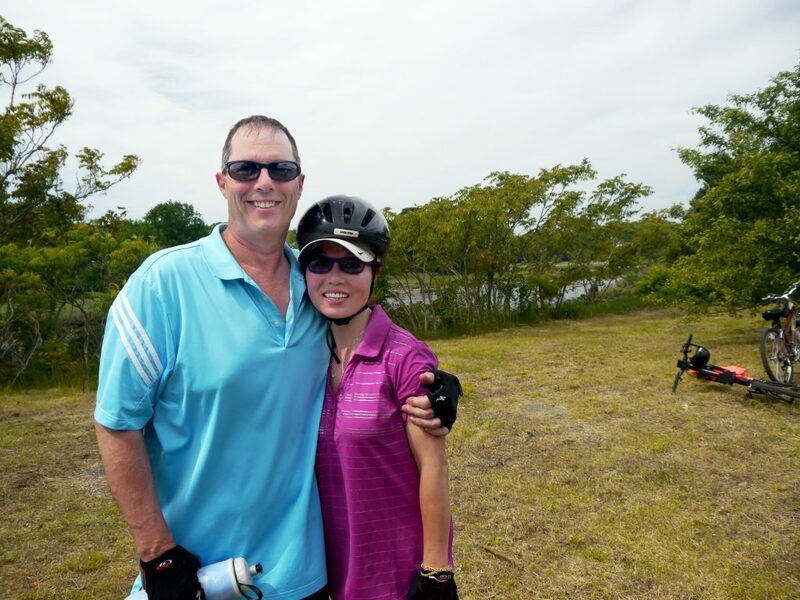 Lowell resident Paul Allen and Melrose resident Maggie Xu made the 20-mile roundtrip ride for the first time this year. 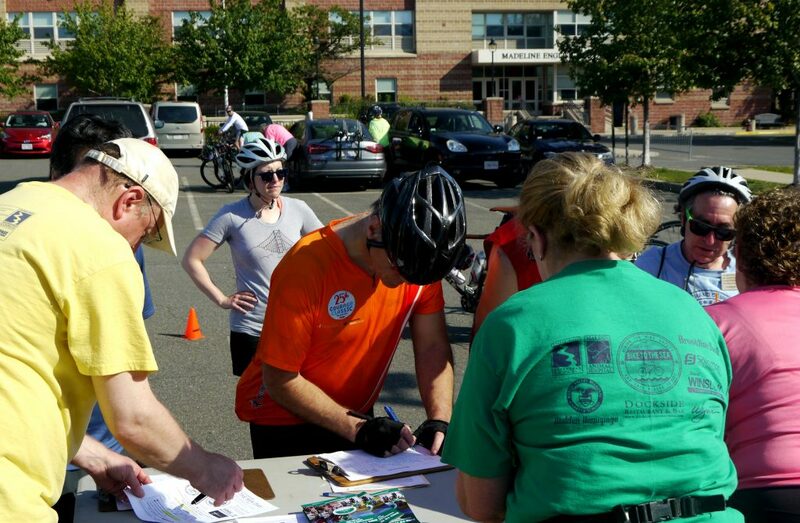 Cyclists registered and signed in before getting their 2017 Bike to the Sea t-shirts at the start of the ride in Everett. 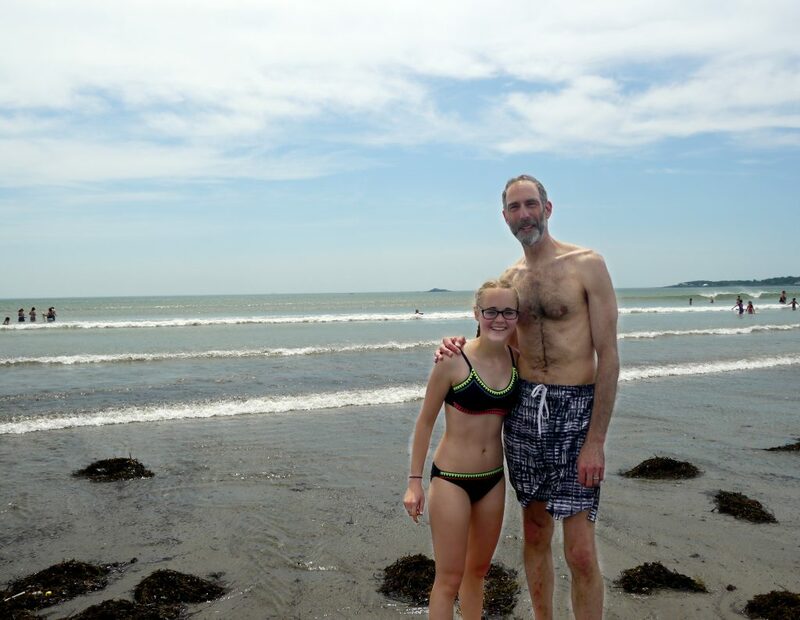 Malden residents Bruce and Sunny Marcus took a dip at the beach before riding back. 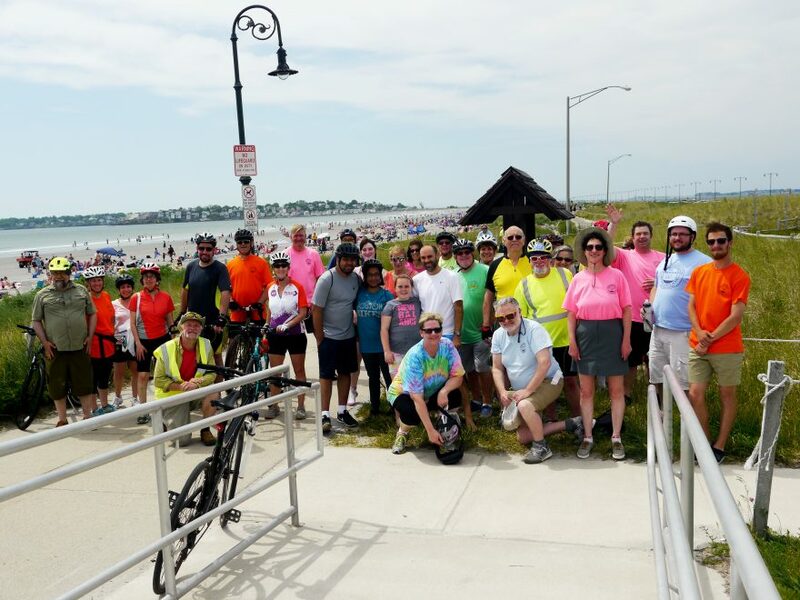 Cyclists lined up along the trail in Everett before beginning the ride around 9 a.m.
Cyclists arrived at Nahant Beach a little before 11 a.m.
Bike to the Sea President Janet Green at Nahant Beach. 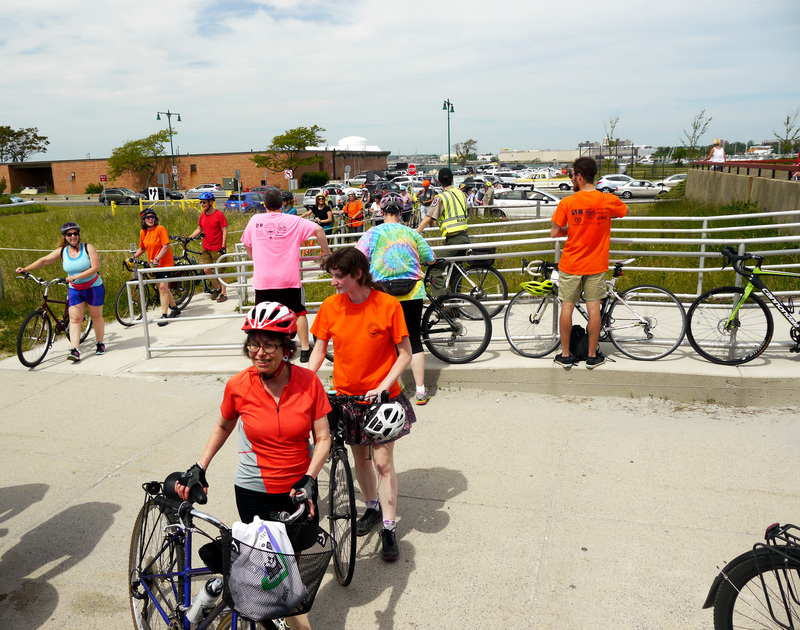 Cyclists arrived back in Malden where the ride ended at the Dockside Restaurant for free pizza and soda.